I was knocking back my first mouthful of champagne when my host politely informed us that we were standing just feet away from the bunker where Marie Curie and her family had experimented with radioactivity in the 1920s and 30s. I froze for a moment with the bottom of my champagne flute in the air, my eyes suddenly wide open. 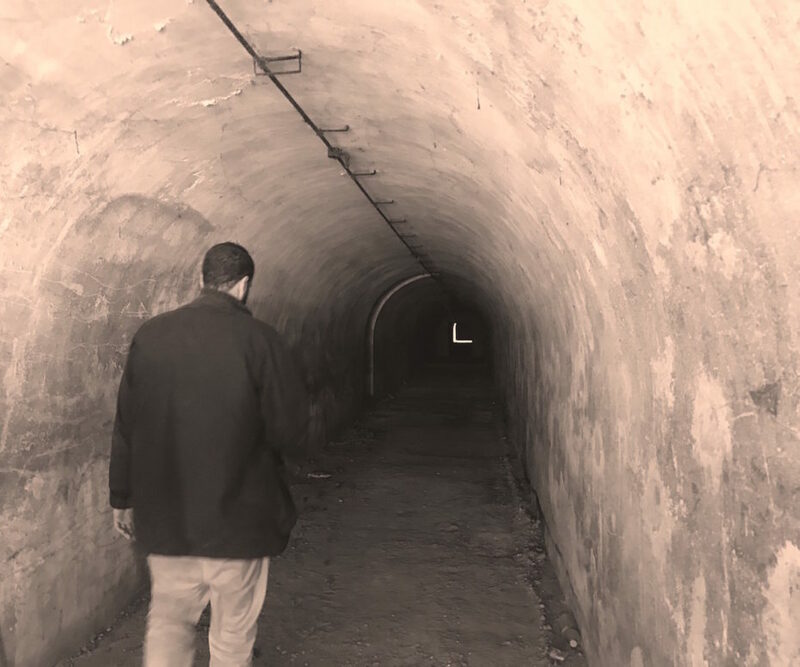 “But not to worry”, she chirped, as I lowered my head, zoning in on the two archways crudely filled in with cement blocks. “As you can see it’s been walled up and we’re all perfectly safe.” I gulped the bubbles hard. Suddenly things had just got even more interesting. 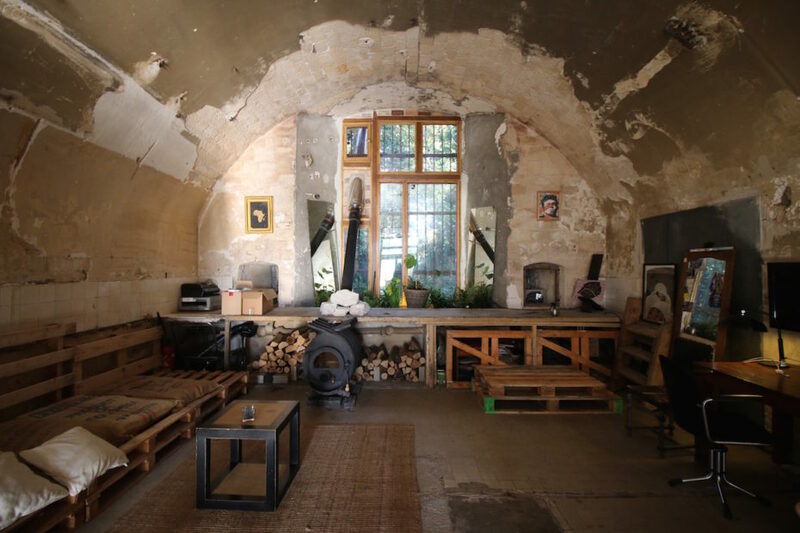 I’d been invited to discover the ambitious adventure of a young start-up hoping to transform an abandoned military fortress into a breeding-ground for artists, creatives and local businesses that work on solutions for a sustainable world. 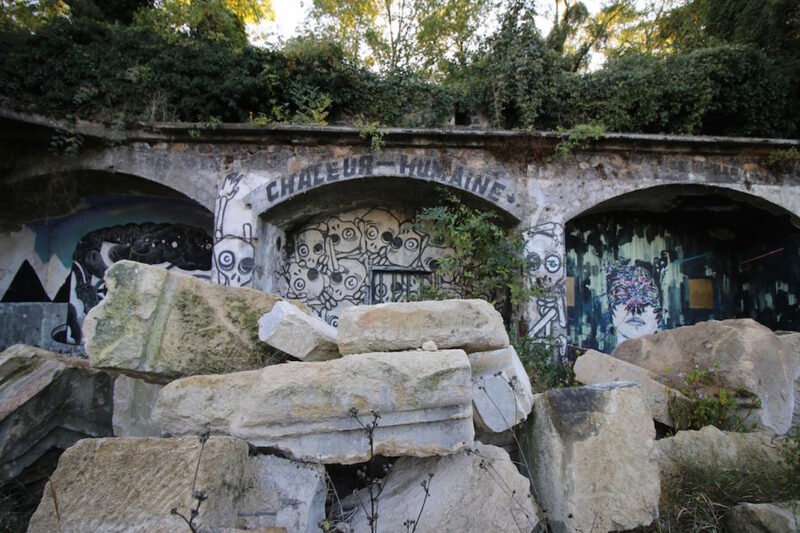 Forgotten and ignored by most for the better half of a century, the historic site is a vast and mysterious wonderland of urbex discovery and it’s the last available chunk of wild and unexploited land around Paris. 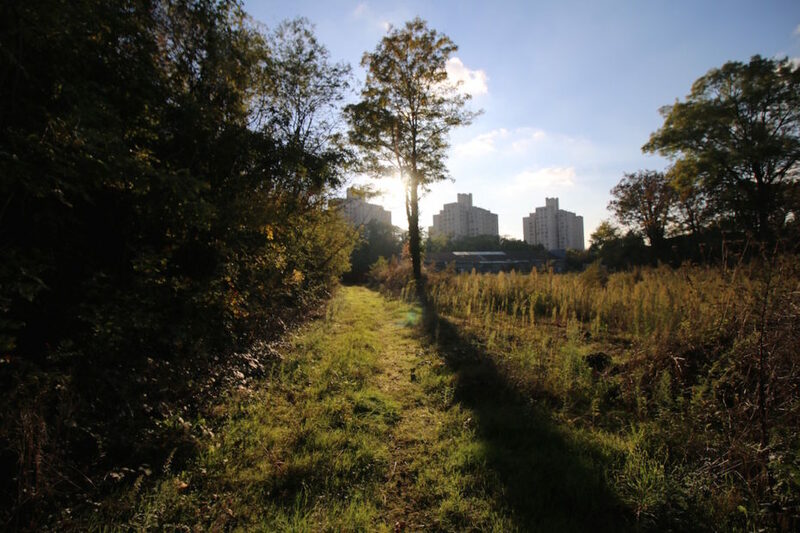 It’s a short walk from the last metro stop on the line 7, but here, it feels like we’re in another world entirely. 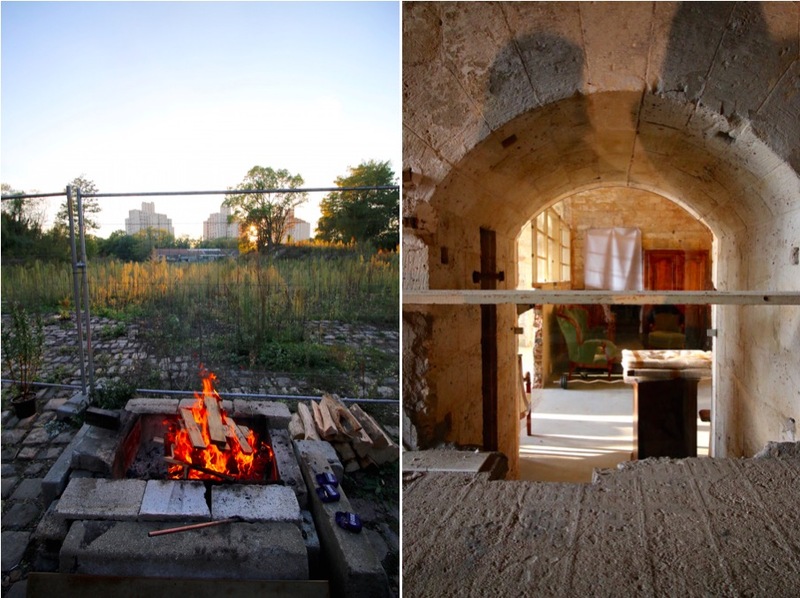 There’s a make-shift bonfire going outside the unconventional HQ of Recup Paris, the start-up with the dream to “recover, revive and repeat”. 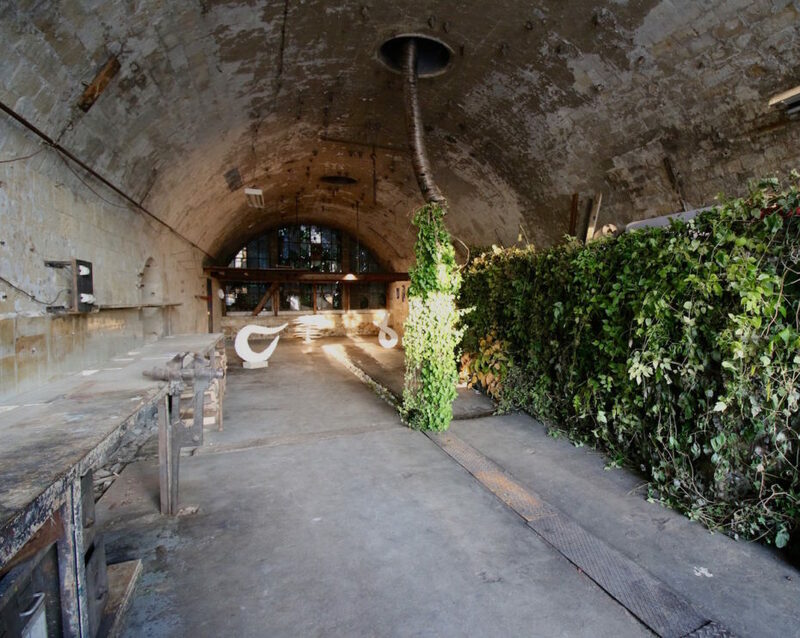 Parisians, out of their element, are eyeing up artworks and peculiar sculptures showcased inside one of the recently cleaned-up bunkers. You can see they’re equally unsure as they are amazed to explore such a place, a 36 hectare utopian site along the suburban borders of Paris, that most of us never even knew existed. 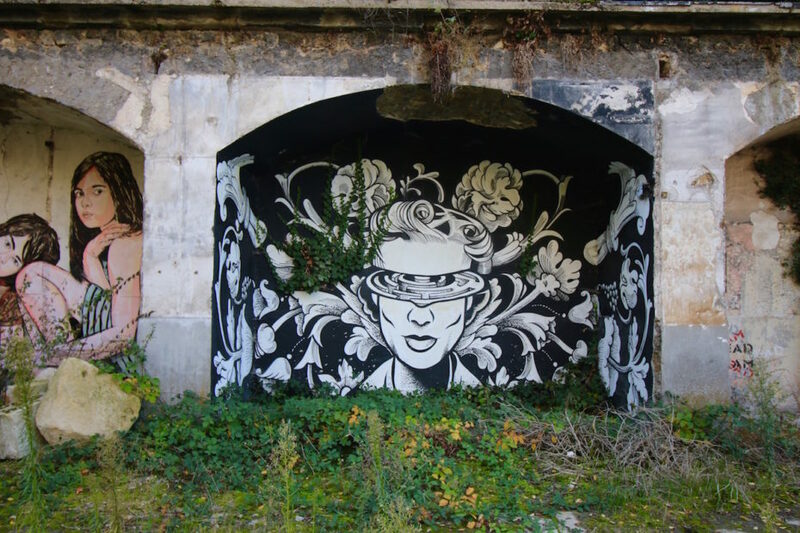 Making my way across an overgrown field that would make a dreamy location for an arts festival, I meet Dom, half Welshman, half Frenchman and one half of the two-person dream team behind Recup Paris. 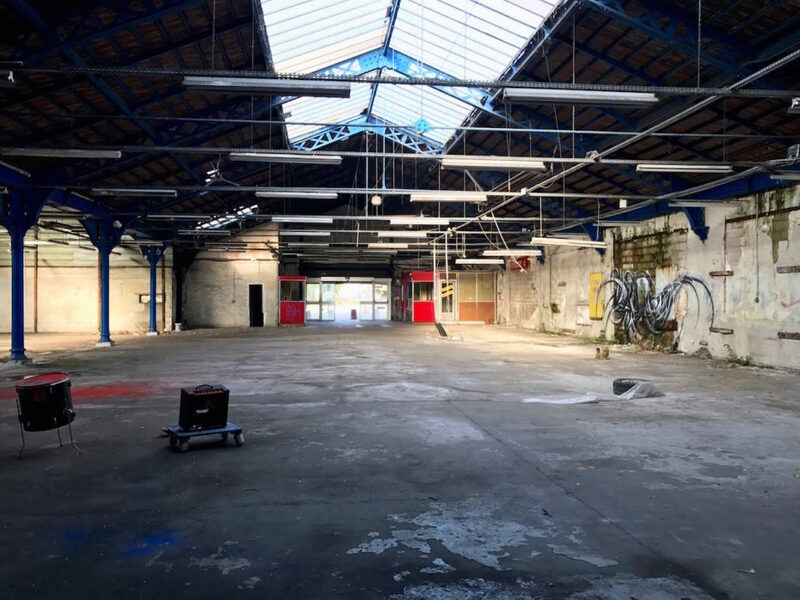 We wander into an abandoned hangar designed by the atelier of Gustave Eiffel, which he hopes will become an artist’s co-working space one day. As we roam through the empty, echoing shell of a warehouse, I try to imagine it filled with people and colour and life. I try not to imagine how much work it’s going to take. Dom and his partner Thomas know they have a mountain to climb. Working exclusively with abandoned materials found on-site thus far, Thomas already sliced off half of his finger while renovating their bunker-turned-office. One evening, in a state of sheer exhaustion following a day of intense labor, Dom took a gulp of industrial cleaning agent thinking it was orange juice. These guys have been through it. And they look worn but still have a sparkle in their eye. 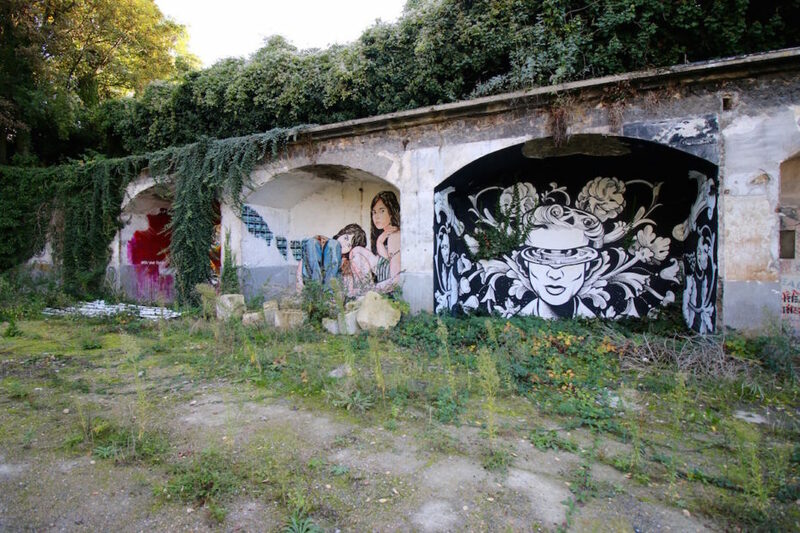 “Imagine communal work spaces, a café, a theatre, art galleries, secret gardens, a market for locally produced goods,” Dom continues, as he shows me the crumbling alcoves of the old defensive walls already covered in giant art frescoes. It’s almost as if this failed infrastructure’s true purpose was never intended for war, but for the artist in need of a canvas; a voice. 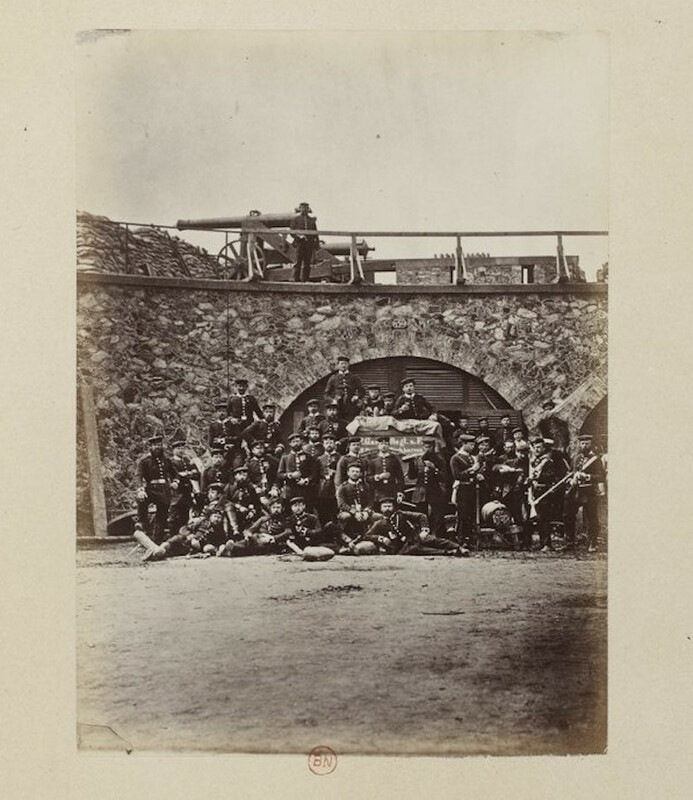 The Fort d’Aubervilliers was originally designed in 1843 to defend the capital against the Prussian invasion, except it never did– the Prussians just went around it. In the 1930s, Marie Curie’s protégé and daughter Irène, opened a top secret laboratory on the fort to conduct experiments on radium-226 salts. The army later took over to support the government’s nuclear testing in Algeria. 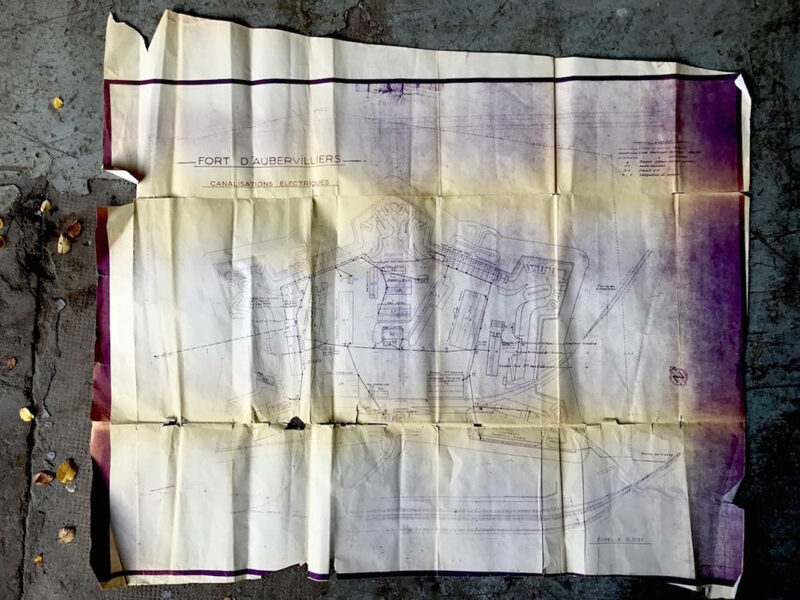 The enormous site was off-limits for several decades and none of this was public knowledge until the early 1990s when decontamination was completed. When I ask Dom and Thomas about the radiation levels today, I can see them wondering if I’m one of those journalists looking to write a juicy article and adhere to government lobbyists who’d rather see this place closed up and padlocked forever. 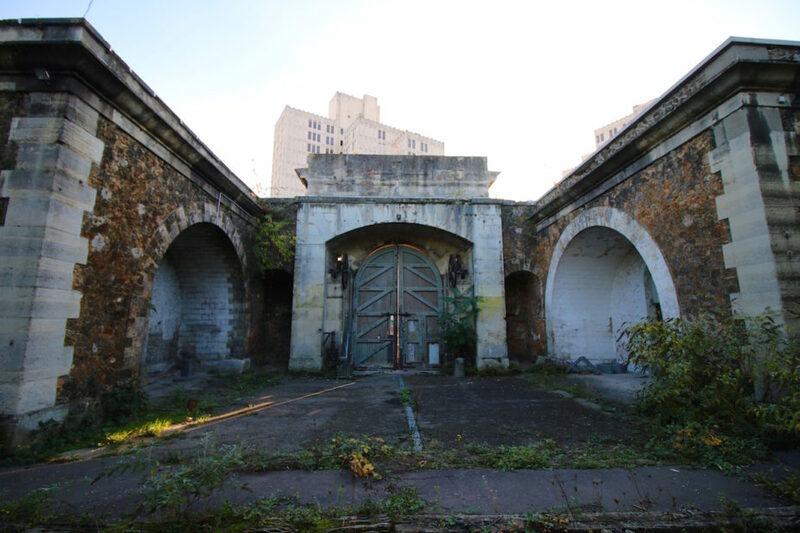 “Look, the truth is, this fort is now as inoffensive as it has ever been in its 170 year history.” The determined entrepreneurs, both with a professional background in the field of sustainability and climate change, have been fighting an uphill battle with French bureaucracy since they arrived. And it seems there are higher powers that would prefer to keep this land out of public hands and in their pocket for a rainy day (should they need to build another futile military fort or say, a shiny new apartment complex). 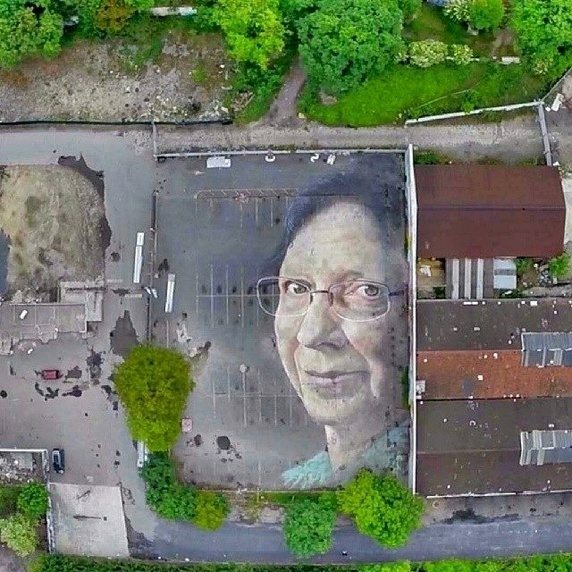 The only real presence of the the fort’s history with radium today is an enormous portrait of Marie Curie created on one of the empty parking lots (pictured below). It’s best seen from Google’s satellite cameras. 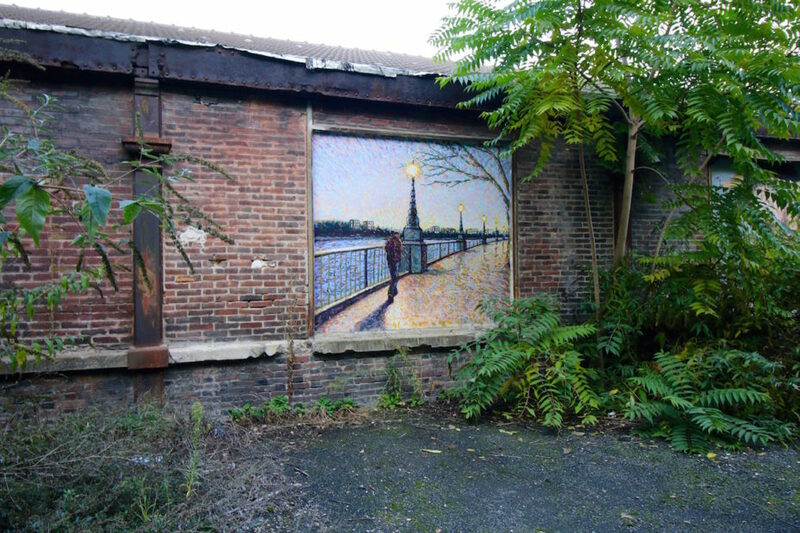 A small community of artists have in fact been happily living and working on the abandoned Fort d’Aubervilliers for a number of years in exchange for a small symbolic rent. 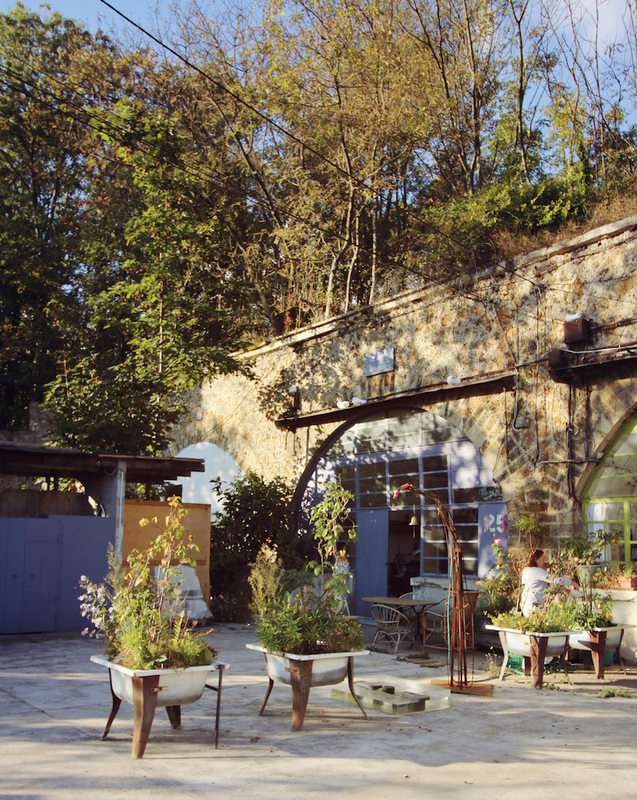 In several of the 24 bunkers, there are already artists ateliers and workshops making use of the historic alcoves. 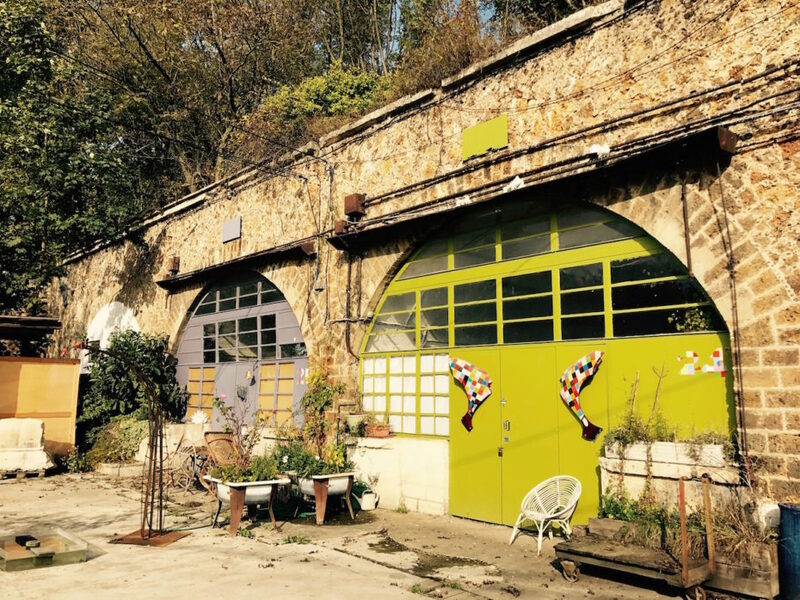 Their artworks are proudly displayed in their “front yards” and one of Recup Paris’ neighbours keeps a bevy of doves that coo around her bunker as if they’d found their very own garden of Eden. The site does indeed have a distinct feeling of a lost paradise. 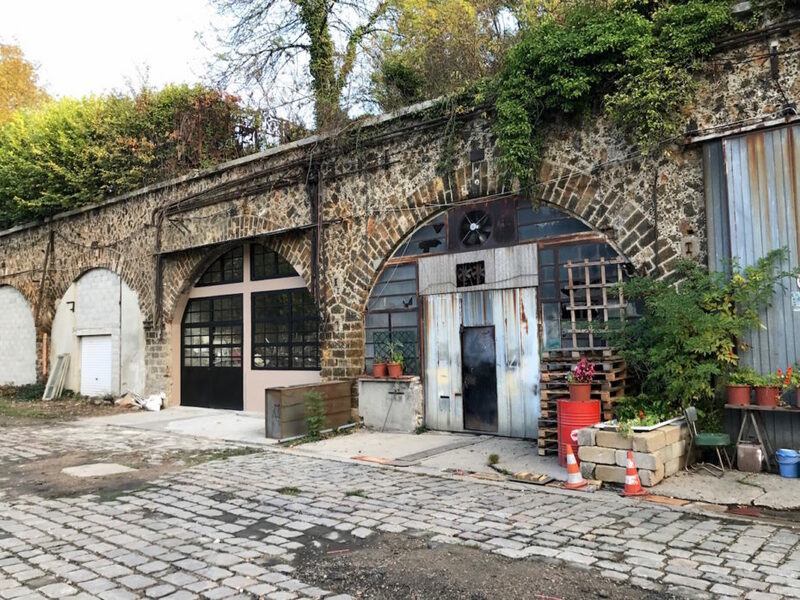 Anyone who visits Recup Paris at their new headquarters can instantly see what attracted the founders and started them on their quest to revive the fort. 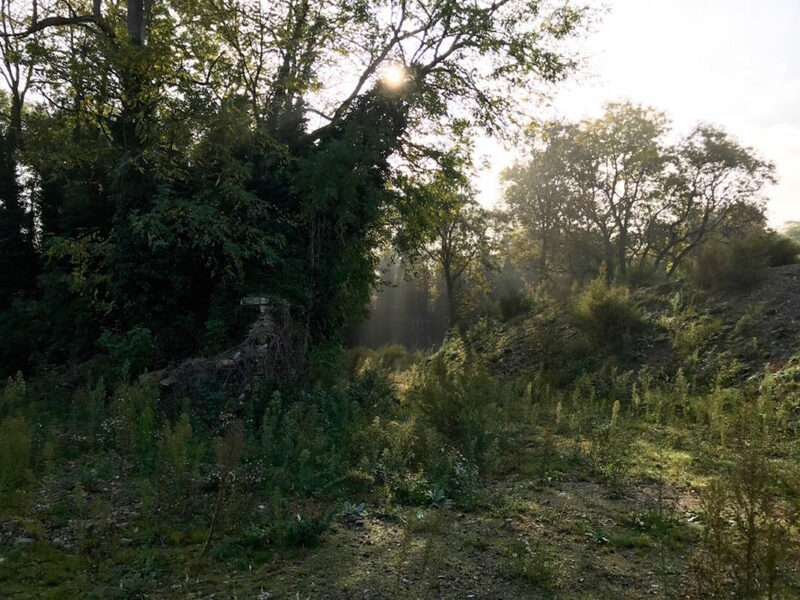 Enchanting, wild and mysterious, the 36 hectare site is an unexpected escape from city life, a super-sized playground for the curious and certainly has endless potential for something truly inspirational. The co-founders of Recup admit to having barely scratched the surface of the enormous fort. 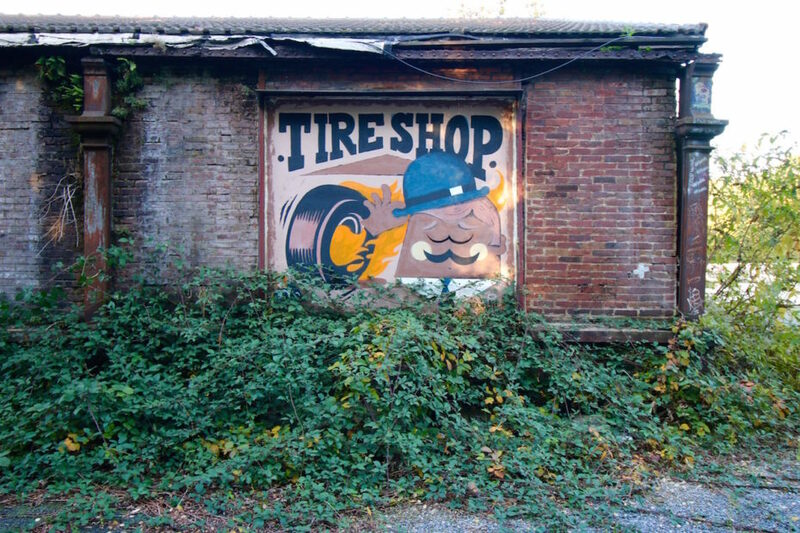 We throw around the idea of a possible museum for all the history they might soon uncover. Dom says everything is a possibility, “but I’d want the future of this place to be above ground, not below”. For now, there’s still a long road ahead. But that’s what’s exciting– to witness the birth of a project so immense and inspiring, to watch it grow and be a part of it in its earliest stages. They’ve spent six months painstakingly renovating the first bordering bunker, giving up their day jobs and exhausting their own financial resources– a blood, sweat and tears kind of operation. They now feel it’s time to share the dream with like-minded folks. 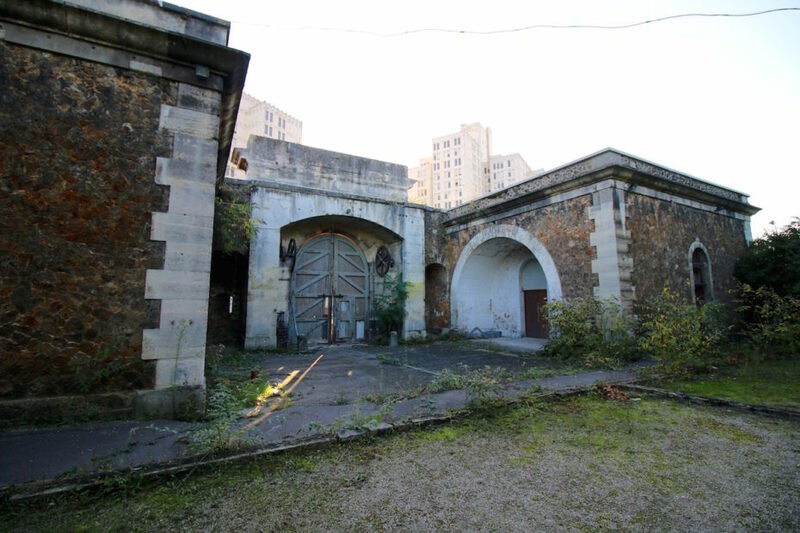 “We want to allow others to become part of this growing community.” To expand their team, reward volunteers and take the next steps towards ultimately reviving the fort that could lead the way for the expansion of up & coming Paris, they’ve launched a crowd-funding campaign. 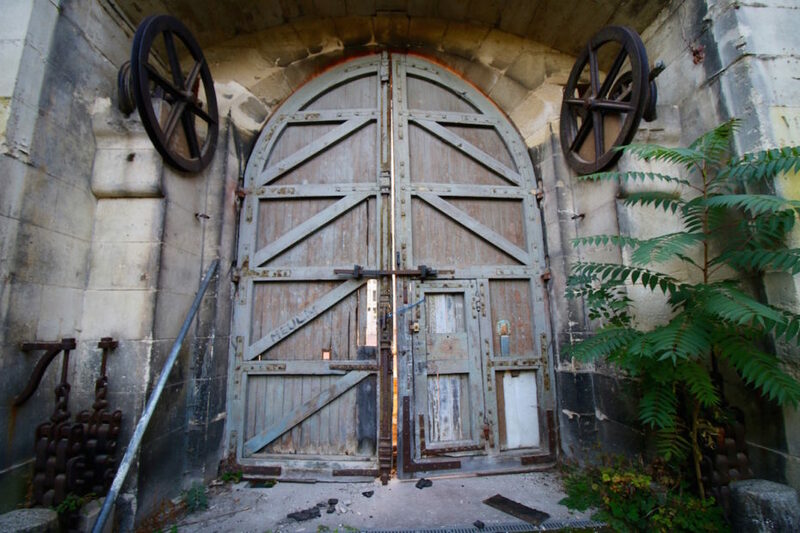 Rewards for backers include candlelight dinners in the abandoned fort, overnight experiences, event hosting, urbex tours and gifts of original artwork from Recup Paris. For a mid-level donation of €150, they will literally throw a party for you at the fort, entertain you with live performances from musicians and artists and take you on an insider’s tour of the historic site. 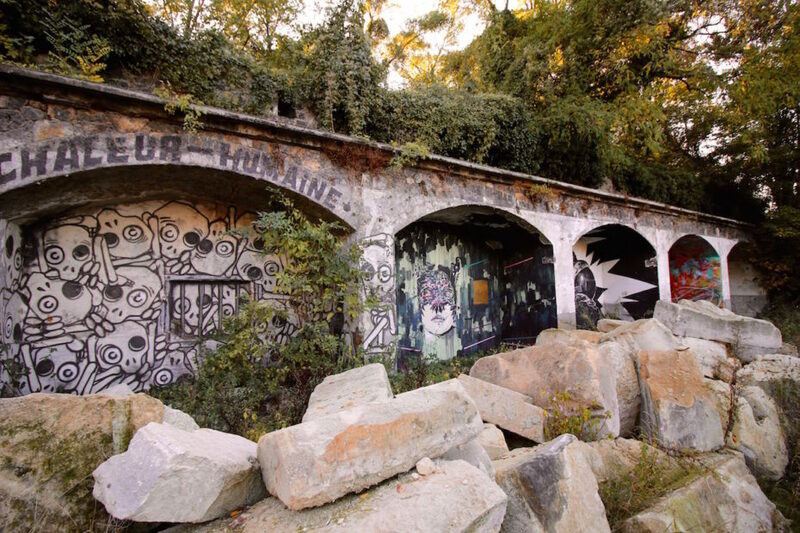 You’ll become a part of the Recup Paris story that hopes to revive this derelict historic fort, create a hub for creativity and provide a sustainable model of innovation that could go far beyond its walls. 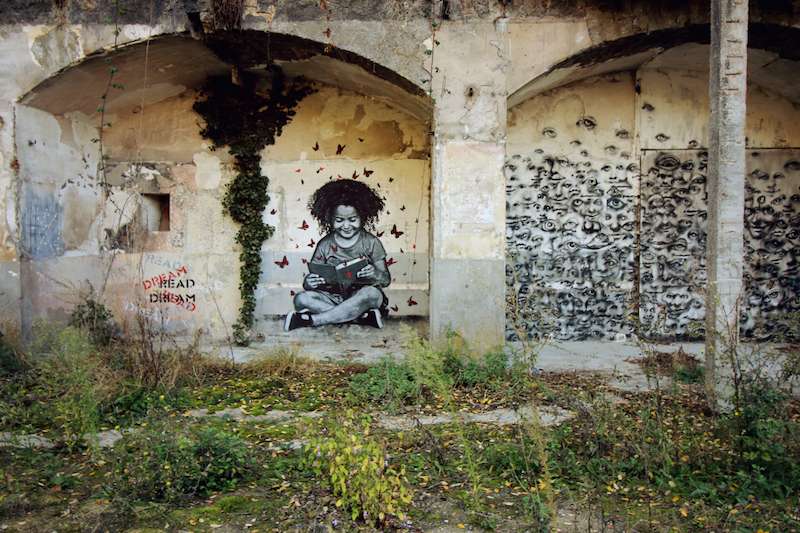 Become part of something big and help revive the fort with Recup Paris. The time is now. If you’d like to get in touch with Recup Paris it’s here and you can follow their incredible journey on Facebook and Instagram.